Greetings Quick Quotes friends! This is Thandar. I am just in love with the Baggage Claim paper collection and cannot keep my hands off it. 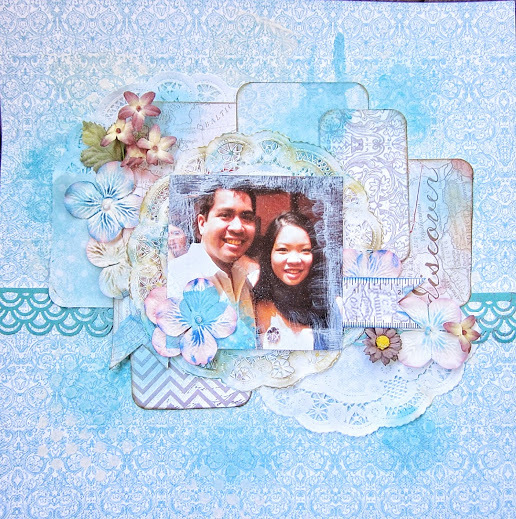 This time I decided to pick out light blue colors off this collection and build a light color layout. I really love the soft look on this. Here is what it look like. 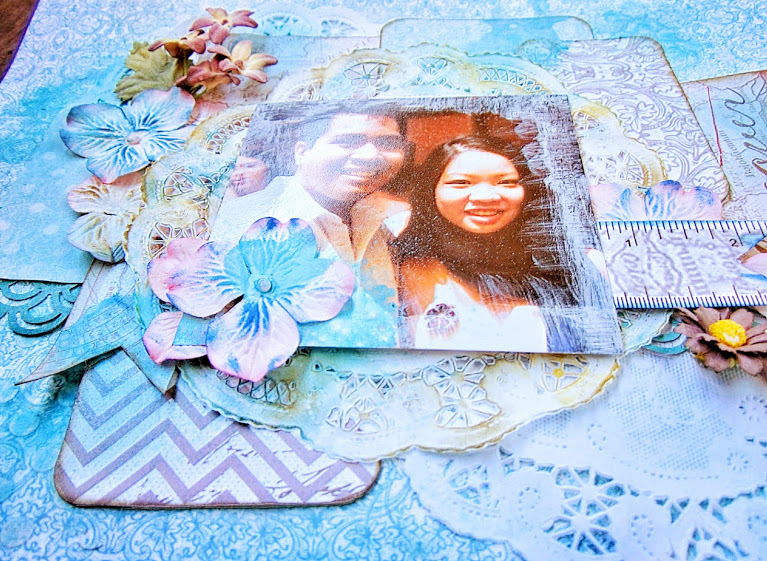 Video tutorial of this layout can be found at the end of the post. 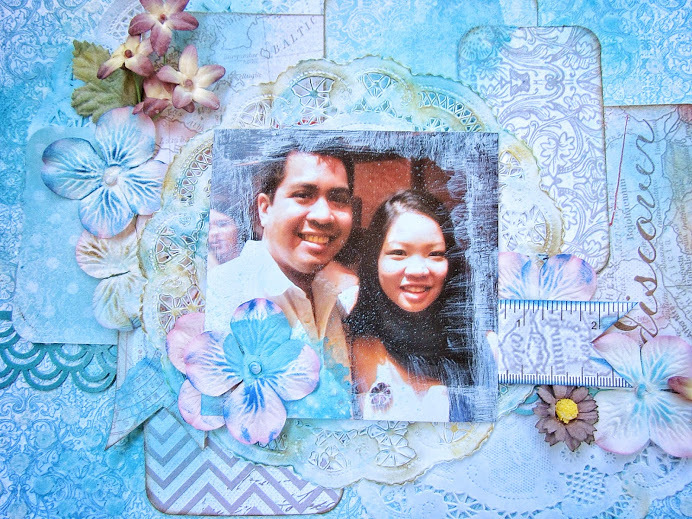 I have also cut out a bunch of paper into ATC size 31/2"x21/2" and created a layered background. I have also rounded corners of my ATC sized papers and inked up all the edges.